Location: Inspire Business Centre, Inspire Business Park, Carrowreagh Road, Dundonald, Belfast BT16 1QT. 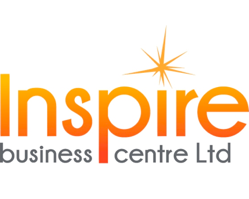 Inspire Business Centre is hosting an upcoming workshop on ‘The Art of Negotiation’, Thursday 2nd May 2019, 6pm-8pm. This FREE workshop is aimed at all businesses that need to negotiate with suppliers and customers. Negotiation is a game, the more you play the better you get. We negotiate every day, some we win some we lose. If we want to improve our results, we need to know what works. Improved results mean better prices which means increased profits. Better skills mean winning more business with better terms. Negotiate more effectively and increase profits through achieving better outcomes. You will identify what your preferred style of negotiation is and how to improve it. You will be able to recognise the 5 persuasion techniques and how to use them effectively. This workshop is funded through Go For It (Northern Ireland Business Start-up Programme).